Over the past week, there has been a lot of chatter about Instagram and the changes that are coming down the pipeline. If you haven't heard, Instagram will begin rolling out an algorithm change in the coming months. In sum, your feed will no longer be ordered chronologically. Instead, your feed will be presented much like a Facebook feed with posts sent your way that Instagram thinks you will like. While the average person might not care, for small business owners (and that includes bloggers), the changes are incredibly scary. First, one of the brilliant things about social media is that it is a platform for small businesses to shout their brands from the rooftops...aka. free marketing. With changes like this, advertising budgets are definitely going to need to be broader. Second, it's definitely got that creepy "big brother vibe" to it. How does Instagram know better than me what I want to see? Finally, for those of us that have grown our following organically, it's just plan disheartening. One of the things that I've prided myself on with my own Instagram account is never having participated in a loop giveaway to earn followers. I've never purchased more followers from a third party, and I've never coerced people into following me on Instagram. If you have, that's totally okay. It' just wasn't in my budget when loops were all the rage. While that means that I have a small following compared to tons of other bloggers, it does mean that my following is fiercely loyal and incredibly engaged. And that's awesome to me. 1. Build a consistent feed. I use VSCO to layout my Instagram photos ahead of time. This helps me color-coordinate my feed, make sure I don't have too many food pictures back to back, and keeps a consistent look to my feed. Instagram will find your feed more "worthy" to share with others. 2. Use relevant hashtags. I know this seems silly, but do research every few weeks to determine relevant hashtags to your brand. And use hashtags that MEAN something. 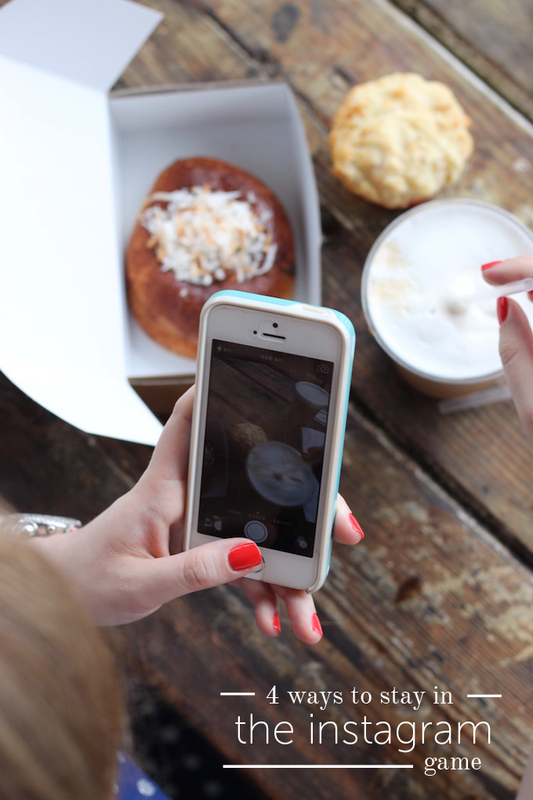 Adding #food doesn't help people flock to your feed, but something like #AtlantaEats does. Simple, straight forward, search-relevant hashtags will be key. 3. Encourage your followers to "Get Notifications." This will help people who really want to see your feed find you fast. 4. Keep calm and carry on. People, at the end of the day, Instagram is a business. Just like when advertising came along and we had to accept those changes, we will have to accept these changes as well. However, don't let this new phase totally paralyze your Instagram game. Instead, work to make your Instagram feed even stronger, so the new algorithms push your feed out there for others to see. And and the end of the day, keep calm and carry on. Great tips and great perspective!